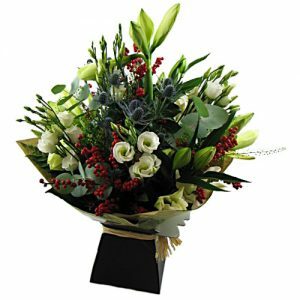 Hand tied style bouquet with lovely textures and scent. 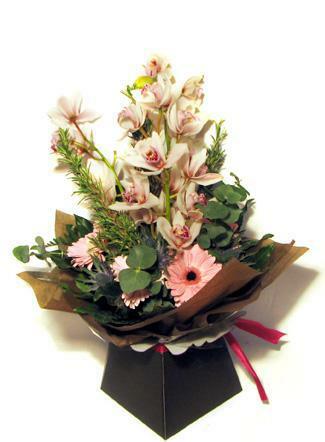 Pink Cymbidium orchid, diamond pink gerberas, Scottish thistles, baby blue eucalyptus and rosemary greens. 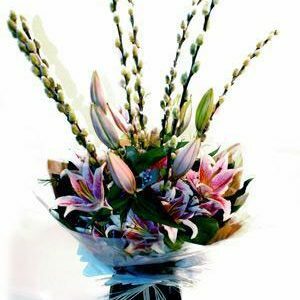 This arrangement has a very calming style with subtle scents and soothing colours – simply chic. 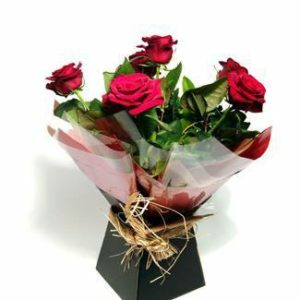 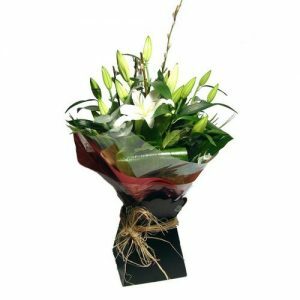 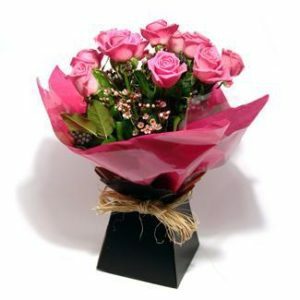 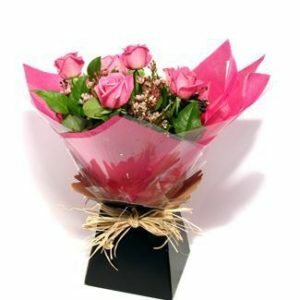 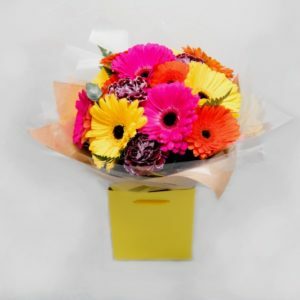 Stylishly wrapped and presented in a gift box with water to ensure the flowers reach you at their freshest.